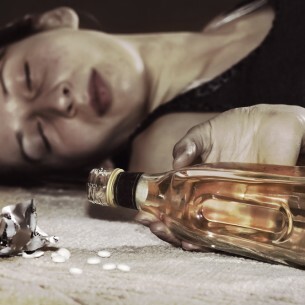 Alcohol Overdose, or poisoning can and does happen, and happens a lot more frequently than we would expect. Firstly alcohol level can continue to rise in a person for up to 30-40mins after they stop drinking. The signs are, confusion, severely slurred speech and loss of co-ordination. The person may vomit and their breathing slows down and they can pass out! This could lead to a person choking on their vomit, suddenly stop breathing, they can have a heart attack or suffer seizures. You should act on these signs, keep them sitting and awake, give them some water. Not coffee or cold shower. If they do pass out put them in the ‘Recovery Position’ keep them warm and monitor symptoms. Look at getting the person to hospital, hospital staff know how to deal with this. Do not leave them alone or lying on their back, good friends stick together, so putting someone in a bed and leaving them might not be the best solution, due to the great chance of people chocking on their vomit.